There seemed to hints over the last twelve months, but this is the strongest statement yet we've seen from the RSPCA regarding what seems to be a change in national policy on pound services. Traditionally, the RSPCA had been the largest pound provider in the country. It aggressively tendered for pound contracts, had exclusive access to pets within a council area and then used its profile in the community to solicit donations and bequests. They could even secure multiple pound contracts and push them into these same facilities, increasing the number of pound contracts generating income. When these shelters then found themselves perpetually overcapacity, they could berate the community for the fact they were "overpopulated", blame community "irresponsibility" and kill pets to make space. It was a really really great system for these shelters, and a system which basically worked for 100 years or so and made the RSPCA one of the richest charities in the country. But then everything started to go a bit wrong. The release of the book "Redemption" in 2007 brought a detailed history of animal sheltering to the public and alerted the community to what was going on behind the walls of their local council pound. It showed that well run shelters who emphasised life saving programs could eliminate shelter killing and introduced the No Kill Movement which would then sweep across the globe. Pet lovers started to demand that their local council animal management dollar not be spent on killing pets, but saving their lives. They started pressuring charity pound providers to improve their live release rates, or face a loss of support. Now pets had to be treated, not killed, it was less attractive to take in hundreds of them a month. The RSPCA has been working hard to reduce its intakes ever since. The (RSPCA QLD) says they can’t continue to use donors money to carry out animal management, which is a local government responsibility. Holding and processing pets for councils no longer makes financial sense as treating and rehabilitating stray pets costs more money than they generate in council pound tender revenue. But even more significantly for the organisation, donors are no longer supporting shelters and organisations with high kill rates (over 10%). In ten years, No Kill made the 100 year old pound model unworkable for the RSPCA. 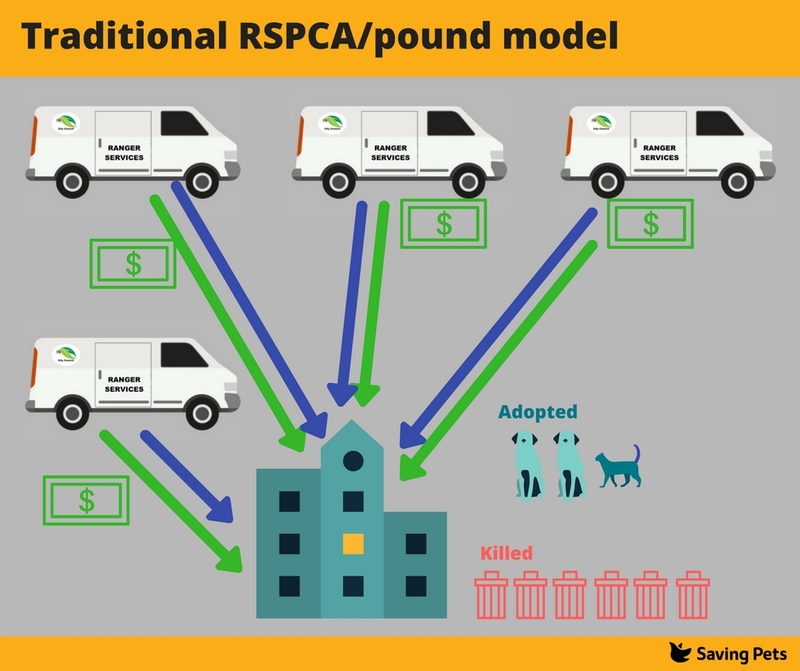 This is the new model for the RSPCA and there are gains and losses for animal welfare in this country. The first thing you'll notice is that the RSPCA are getting out of council pound tenders. These had become a net loss financially for the charity, so it was only really a matter of time. Now, rather than go straight to the RSPCA to be processed, stray pets will go to a council run facility of some kind; good or bad depending on how much that community has invested in humane animal management. From there, the RSPCA can cherry-pick the pets it believes it will have the best chance of rehoming and councils will be left with the rest which they can declare "unsuitable" and kill. These creates two silos of statistics; the council statistics which include the dead pets, and the RSPCA statistics which now don't. 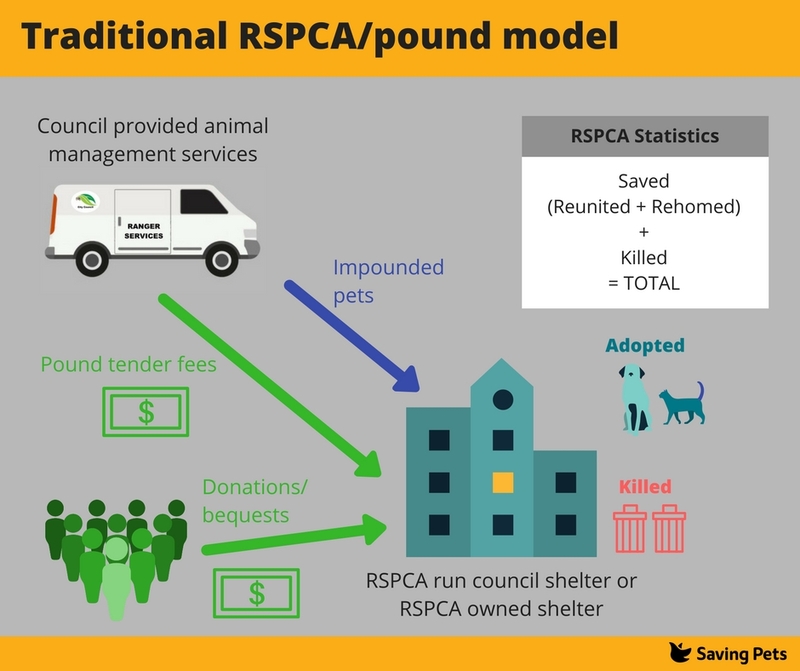 RSPCA's can do this in as many council pounds as they can negotiate, via programs which move adoptable pets out of rural pounds into city RSPCA shelter for adoption. This is a proven model for the RSPCA, as the RSPCA NSW has been trying to do these kind of 'cup and ball' trick with their intakes since about 2011. RSPCA donors and bequestors are happy because the RSPCA statistics will obviously now show low kill rates and high adoption rates. While those pesky dead pets all happen away from the brand at council pounds. If you're wondering where the gains are for animal welfare, don't get too excited. Rescue groups are being called upon to help the RSPCA make this transition. After literally decades of being told they weren't reputable or knowledgable enough to work with the RSPCA, now the RSPCA needs rescue's help. Could you take pets that need extra help, extended vet care or time please, so we don't kill them. Rescue groups are glad about this and who can blame them? They would much rather be asked to take these pets, than to see them be killed. But rescue groups are self-funded and for a multi-million dollar charity to rely on them to do their work for them is horribly unfair and totally unsustainable. The RSPCA must be expected to invest their money in saving and treating these pets themselves. And that's not all. 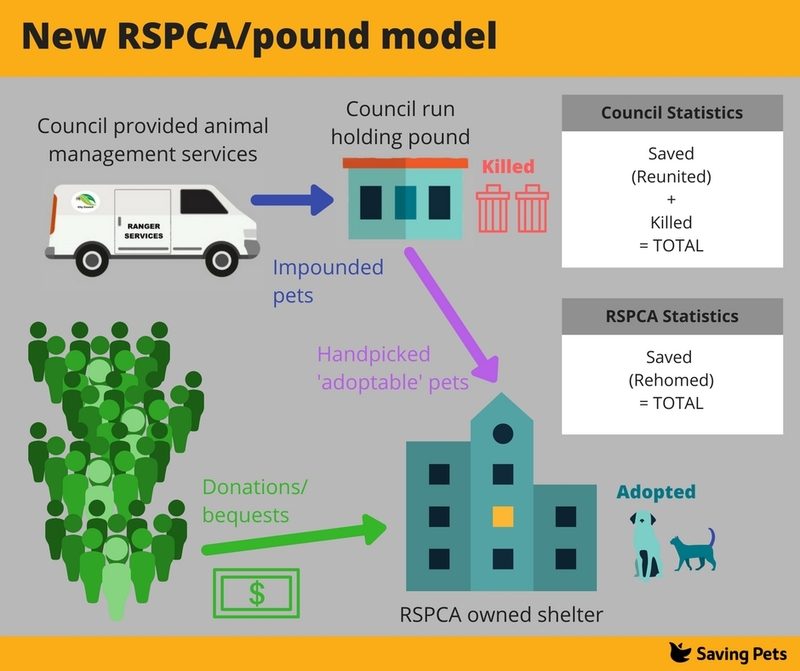 When you zoom out a little, you can see that both dropping pound contracts and embracing rescue are quite cynical approaches to improving RSPCA outcomes, without investing in improving larger, community level animal welfare outcomes. Worst, the RSPCA can still back bad programs which increase intakes; like the recent "Safe Cat" program where the RSPCA Victoria partnered with Melbourne Zoo (an organsation actively funding cat culling programs) to demonise outdoor cats and encourage their removal - authored by Dr. Carole Webb of the failed "Whos for Cats" program and who ran her own shelter boasting a 90% kill rate. In short, the RSPCA can keep doing what its always done - but now it will LOOK like they're doing something else. It's never been more important to take an interest in your local council's animal management programs. Click here to find out more. Quotes indicating a move to a "welfare focus"
After a review of the RSPCA (TAS)’s Statewide operations, the peak animal welfare organisation said it plans to move to a centralised care facility structure and concentrate on animal inspectorate services, while aligning with other reputable animal welfare groups to provide services. RSPCA centres across Queensland have received an email ordering them to accept no more cats and dogs until further notice. The email was sent by CEO Mark Townend and confirmed by an RPSCA spokesperson this afternoon. The RSPCA (TAS) wants to recapture its original purpose under a new leader after the resignation of chief executive Peter West. RSPCA Victoria is working to ensure that we can sustainably provide the best possible welfare outcomes to every animal in our care, while also improving our ability to prevent cruelty and neglect through community programs,” Dr Walker said. After working with the Townsville City Council for 17 years, the RSPCA have called it quits. The charity says they can’t continue to use donors money to carry out animal management, which is a local government responsibility. RSPCA Qld CEO Mark Townend says the council pens and conditions are below acceptable standards, and the council is unwilling to pay what it costs to properly run the facility. After a review of the RSPCA’s Statewide operations, the peak animal welfare organisation said it plans to move to a centralised care facility structure and concentrate on animal inspectorate services, while aligning with other reputable animal welfare groups to provide services. It led to the Mornington centre closure and savings of more than $200,000 a year to go into animal inspectorate services instead. RSPCA Tasmania interim chief executive, Dr Andrew Byrne, said the goal is to have one centralised RSPCA shelter in Tasmania with a vet clinic and a concentration of skills to sustain the organisation into the future. “In the short-term we’re talking about moving all of the inspectorate animals from Hobart to Spreyton which will improve the cost-effectiveness, while it is business as usual for the Launceston facility,” he said. Dr Byrne said the RSPCA had a “carefully-considered vision” for a centralised centre and a state-model of animal care for Tasmania. He said the closure of Mornington was the first step but beyond that the RSPCA was unsure of exactly how it would look. He could not not confirm the future of Spreyton or Launceston care facilities beyond the transition to a central animal care facility. “Resources will be committed to enhanced service delivery, while we maintain our absolute focus on our primary charter of superior Inspectorate Services,” he said. THE RSPCA will soon stop accepting stray pets leaving Orange City Council to find another pound operator. Once the council finds an alternative, the RSPCA will use its William Street animal shelter to focus on re-homing and welfare only. RSPCA NSW chief executive Steve Coleman said while the number of animals had dropped from 1800 annually in 2010 to 1200 now, it was difficult to balance the responsibility of the pound contract with investigating cruelty matters and providing animal welfare support. “This comes under the Companion Animals Act and that is a function of local government so if we can add value and assist the council throughout this transition, that’s what we want to do,” he said. He said the William Street site would not be sold or shut down. Council development services director David Waddell said the council could either find an operator to run a pound at another location, such as a dog breeding facility, or take on the operation itself. RSPCA volunteers are sad their connection with the Shoalhaven Animal Shelter is set to end. 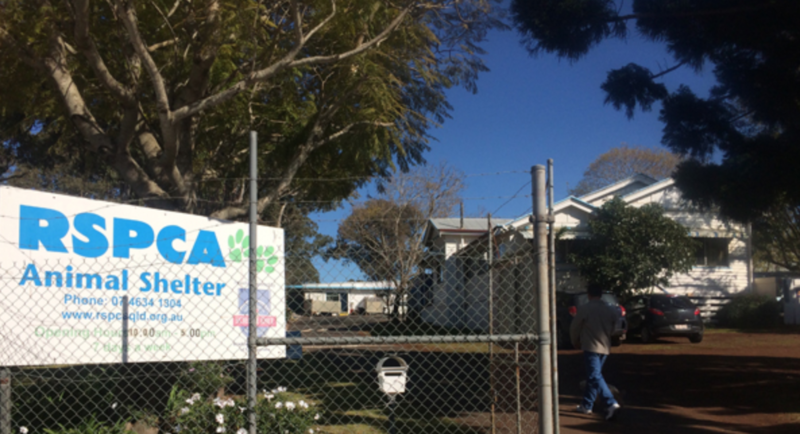 Volunteers and staff at the West Nowra shelter were told late last year the NSW RSPCA would not be putting in a tender to run Shoalhaven City Council’s new shelter in Nowra Hill. The Nowra Hill shelter, once built, will replace the current one in West Nowra. RSPCA Victoria chief executive Dr Liz Walker said the group thought it was a tremendous decision for the City of Ballarat. Castlemaine RSPCA shelter to close, animals transported to Bendigo. Nine staff and several volunteers were informed of the closure yesterday, with chief executive officer Dr Liz Walker saying the decision was in the interest of the animals’ wellbeing. “RSPCA Victoria is working to ensure that we can sustainably provide the best possible welfare outcomes to every animal in our care, while also improving our ability to prevent cruelty and neglect through community programs,” Dr Walker said.